Erlin debuted for the Padres nearly five years ago in 2013. It seems Erlin has been around for a decade with the Padres. Across four major league seasons, Erlin has appeared in 30 games posting a 4.54 ERA across 148.2 innings. He has great control, walking only 35 batters across nearly 150 innings. In 2016, Erlin appeared poised to make a statement at the big league level and remain in the big leagues finally. Before injuring his arm, he had a 4.02 over 15.2 innings. His first appearance in 2016, he came out of the bullpen, pitching 3.1 innings of one-hit, shutout baseball, earning himself a victory. He followed up the performance with 4.2 innings of no-hit baseball against the Phillies. The potential is there for the left-hander, he just needs to stay healthy and produce. Erlin went through the arbitration process for the first time this offseason, and agreed to a salary of $650K for the 2018 season. Erlin has shown brief flashes of dominance in the past. The lefty could surprise many with a strong spring and earn a spot in the rotation. Although I feel it is more likely for Erlin to be returned to the minors, but receive a chance due to injuries or changes to the rotation. I do believe when the next opportunity arises for Erlin, he will be ready and will succeed. Strahm was acquired from the Royals last year during the deadline. He was injured at the time, as season-ending knee surgery had just sidelined him prior to the trade. Strahm will be ready to go by spring training, and looks to compete for a spot in the rotation. I feel as though Strahm is nearly a lock to make the 25-man roster unless he struggles badly in spring, whether it is in the bullpen or the rotation for the Friars in 2018. Prior to the 2017 season, Strahm was ranked as the Royals’ number one prospect. He is viewed to have tremendous potential and upside. Strahm debuted for the Royals in 2016, dominating hitters out of the bullpen to a tune of a 1.23 ERA over 22 innings. His fastball sits in the low 90’s, but touches 96 mph. He has an exceptional curveball and mixes in a good change-up. He has three above-average pitches as a starter with the ability to have hitters swing and miss. Strahm struggled in 2017 before his injury, posting a 5.45 ERA across 34.2 innings. The southpaw has a career 3.22 ERA in the minors, performing well at nearly every level. The Padres hope Strahm can find his stride and perform at a high level in 2018. 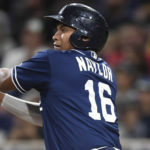 He is another name that figures to be a part of the Padres’ long-term plans, but is capable of making an impact immediately. Coming off injury with a new ball club, Strahm has a lot to prove to earn a spot in the rotation. I like this guy a lot, and I see him very likely making the 25-man roster, but am not certain it will be as a starter for the time being. Strahm figures to be a starting pitcher, but may be destined for a relief role to start the year. The Padres announced they had signed RHP Chris Young to a minor league deal last week. The 38-year-old was not ready to retire after being released by the Royals last season. Young pitched for the Padres from 2006-2010 where he was 32-25 with a 3.60 ERA over 97 starts. Young was also an all-star in 2007 for the Padres. Young struggled last season, posting a 7.50 ERA over 14 appearances before he was released in June. In 2016, Young was an impact arm for the World Series champion Royals, pitching as a long-reliever in their bullpen. That year he went 11-6 with a 3.06 ERA over 34 appearances, while also posting a 2.87 ERA in the postseason. It was one of Young’s best seasons of his career that ended with a World Series ring. Young will fight for a rotation spot in the spring, and has a decent chance of winning a spot on the team. He will have to prove that he is healthy. Like Young, Ross also returns to his former club, although his return is just one season removed. Ross spent the 2017 season with the Texas Rangers. He was injured for the majority of the season, and in his limited time, he struggled mightily. Ross had a 7.71 ERA across only 49 innings pitched with just 36 strikeouts. His velocity was down and his pitches had minimal movement. 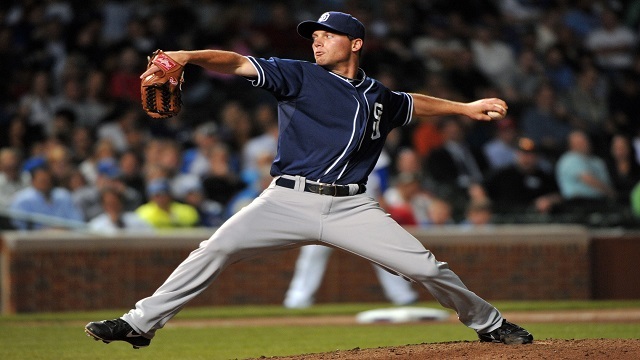 Ross was an all-star for the Padres in 2014, posting a 2.81 ERA over 195.2 innings pitched. He followed up with a productive campaign in 2015, pitching 196 innings to the tune of a 3.26 ERA. Ross earned the nod as the opening day starter in 2016, but was removed during the game and remained injured for the entirety of the 2016 season. 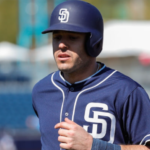 The Padres didn’t go through the arbitration process with him and allowed Ross to become a free agent. If Tyson Ross can return to his 2015 form and make the major league club out of camp, he will earn a base salary of $1.75 million with up to $4.25 million in incentives. If pitching guru Darren Balsley can help Ross regain his form, he could easily be a valuable rotation piece in 2018. Lockett was drafted by the Padres in the fourth round in the 2012 draft. He has been solid in his minor league career with a 3.93 ERA. In 2016, Lockett dominated to the tune of a 10-9 record and a 2.96 ERA across 164 innings. He made six appearances in Double-A, posting a 4-1 record and a 2.06 ERA. 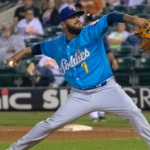 Lockett regressed slightly in the hitter friendly PCL league in 2017, with the El-Paso Chihuahuas, posting a 4.39 ERA across 55.1 innings. 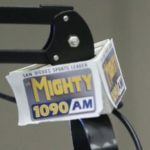 Lockett isn’t currently on the Padres top-30 prospect list and isn’t viewed as having immense potential. The young RHP has been reliable and consistent throughout his minor league tenure and could make it to the majors in 2018. I’d say he is the most likely Padres’ pitching prospect to crack the Padres’ 25-man roster. With so many options available to fill out the last two spots in the rotation, I believe Lockett is a long shot to make the rotation. Although with a dominating spring, setbacks from other candidates, and injuries, Lockett could come knocking on the door for the fifth spot in the rotation. He will be a very interesting pitcher to watch in 2018 regardless of where he is playing. 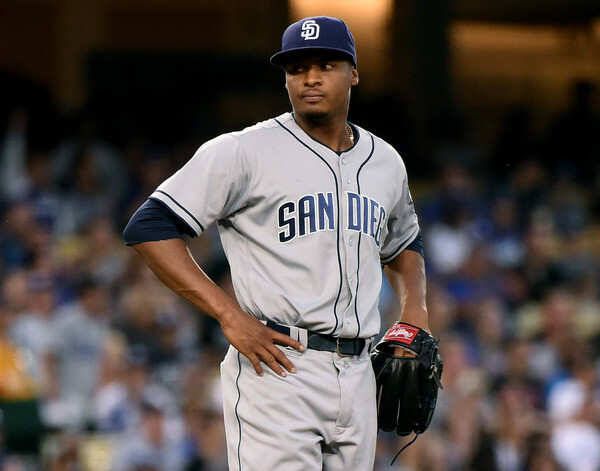 It is clear the Padres have decisions to make regarding the rotation come spring. 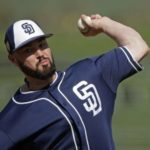 It will be a very exciting battle to watch in who will fill out the Padres’ 2018 rotation. Injuries happen frequently at the starting pitcher position and a plethora of options is a very good thing. A six-man rotation also isn’t out of question for the Padres, with so many young arms on the team and in the system. 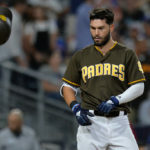 The Padres used one towards the end of the 2017 season, and it wouldn’t be surprising to see it again this year. I’d say Bryan Mitchell is the most likely to earn a rotation spot just because he is out of minor league options, but all the other names aren’t very far behind. 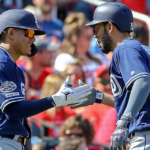 The remaining two spots are a wide open race and the Padres will have a lot to consider before opening day.